The singer said this barely days after a video surfaced online of Waje; where she revealed she was considering quitting music as it is not working for her anymore. In the now-trending video titled ‘music is not for me’, the artiste, whose real name is Aijuaje Iruobe, expressed her frustrations concerning returns on investments in her last album, which she thinks is one of the best that has come out of Nigeria. The viral video had sparked a flurry of reactions from fans and critics on the Nigerian Twitter space. Only the strong shall survive. Not about ur talent. Stay humble and stay true to why u started and lastly put God 1st . 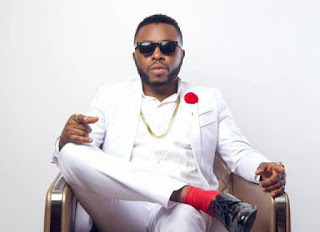 The music producer debuted his music career as an artiste in 2011, teaming up with D’Prince, Wizkid and Ice Prince to release his hit single, ‘Molowo noni’. He was later signed into Akon’s Konlive music company in 2017, where he dropped ‘Philo’, after several critics claimed the entertainer’s music career was dead. In February this year, the award-winning music producer came through with his most recent song titled ‘Pay’.